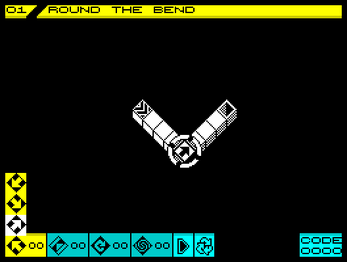 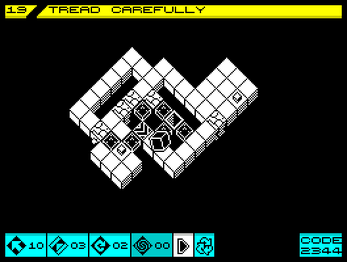 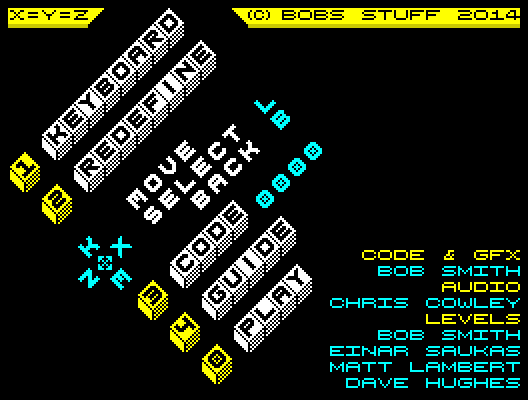 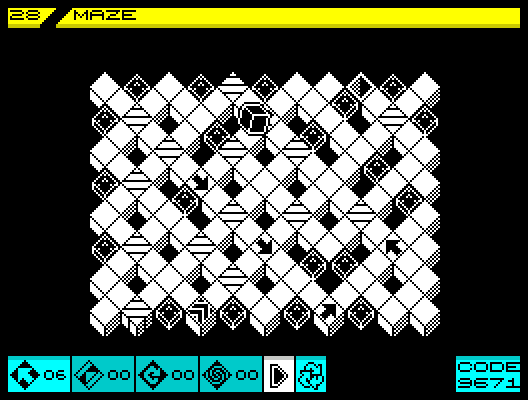 Roll, slide, twist, and teleport your cube around the levels in order to reach the exit, with a limited palette of commands available, across 34 levels of increasing difficulty. 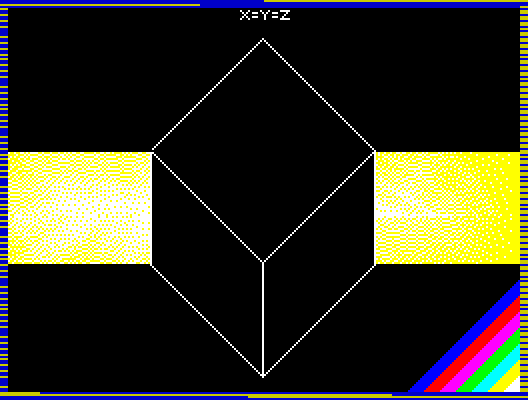 It's been five years since W*H*B was released, and I felt that the experiment of trying to involve other people in the game's development could be tried again. The Spectrum scene online, and the people in it, has changed dramatically in that time, leading to a completely new set of people contributing levels and audio for the game. The game itself is a spiritual successor to W*H*B, but uses a different game mechanic and so required a completely new engine (especially as the old engine couldn't actually cope with the more populated levels), but is just as complex and very difficult to master.